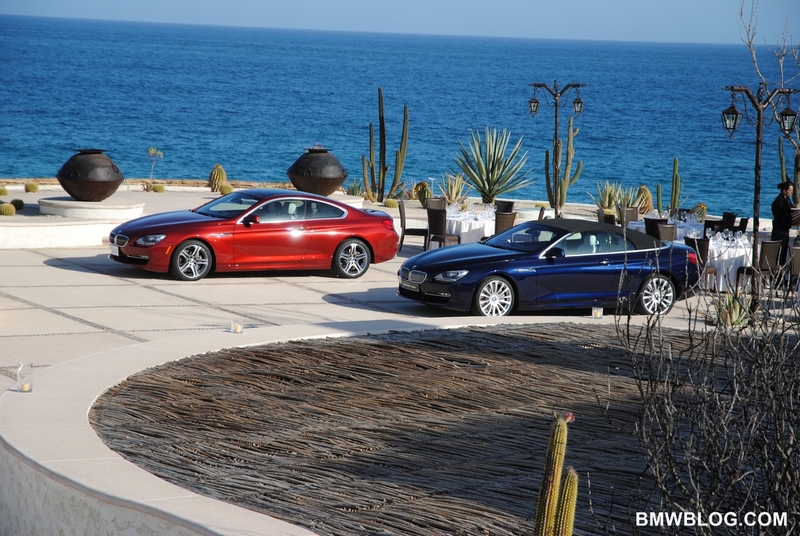 Cabo San Lucas, Mexico – To launch the third-generation 6 Series Convertible, BMW chose Mexico’s most luxurious and famous resort town: Cabo San Lucas. Cabo is a city at the southern tip of the Baja California peninsula, known for the sandy beaches, world-class scuba diving locations, glamorous life and high-class resorts. 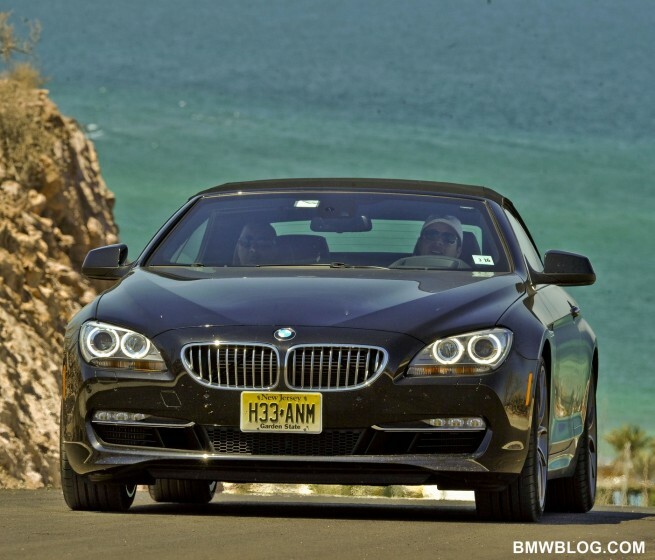 In a nutshell, the kind of habitat where the new BMW 650i Convertible would feel at home. But Cabo is simply an oasis of luxury in the middle of a world where poverty, livestock and unexpected speed bumps contrast heavily with the luxurious image of the new 6er. Despite all of these apparent shortcomings, truth is that this area offers a variety of amazing scenery and twisty roads, combined with plenty of straight lines where the car can be pushed to its limits. And you can certainly bet on the fact that we took the new 650i Convertible to its limits. 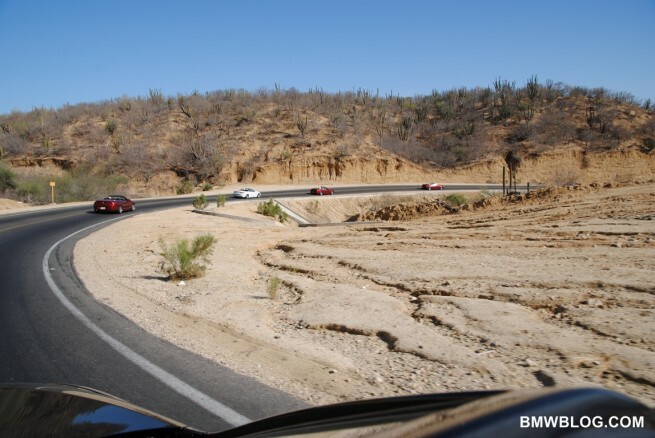 To explore the newly redesigned, highly appealing and re-engineered 2012 6 Series Convertible, we set upon a 6-hour course that took us from Cabo to La Paz and back. From the many color choices laid out in front of our eyes, we picked a beautiful and classy Black Sapphire 650i with Cinnamon Brown Nappa Leather and optional contrast stitching, and a black top. Before we jump into the driving experience, let’s take a step back and define the demographic for this car, along with the new design language. 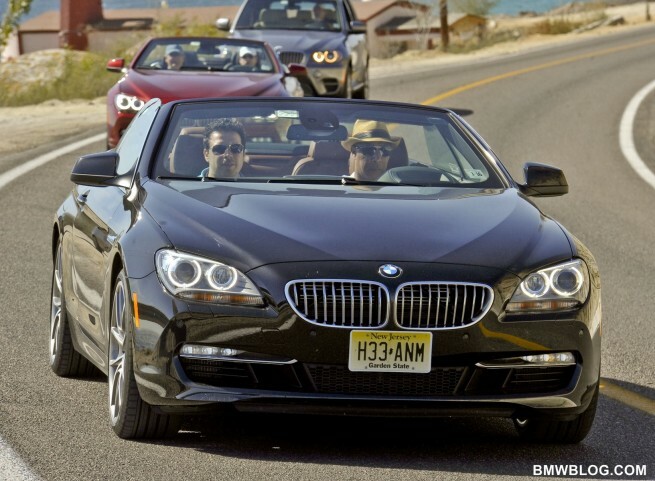 Based on BMW’s research, the typical U.S. buyer of a 6 Series Convertible is in their 50’s, predominately female and living mostly in sunny and warm states. Furthermore, same market research says this is their third or fourth car sitting currently in the garage. To cater to such customers, BMW had to focus first and foremost on style and luxury. Styled by Nader Faghihzadeh, the 2012 650i Convertible has the allure of an athlete, combined with svelteness and classic looks. The typical long sweeping hood and short overhangs are surrounded by a muscular profile. The same BMW designer says he found inspiration in the movement of waves as the shark nose pierces the water. The curved surfaces of the body give the car a sporty allure as well, with character lines running from the front to the rear-end, harmoniously combining some of the cues in the new BMW design language. Thankfully, the 6 Series shark nose is still there and a first for 6 Series are the full LED headlights. The kidney grilles are lower and wider on the 6er and the vertical grille slats break backwards two thirds of the way up in the grille opening. 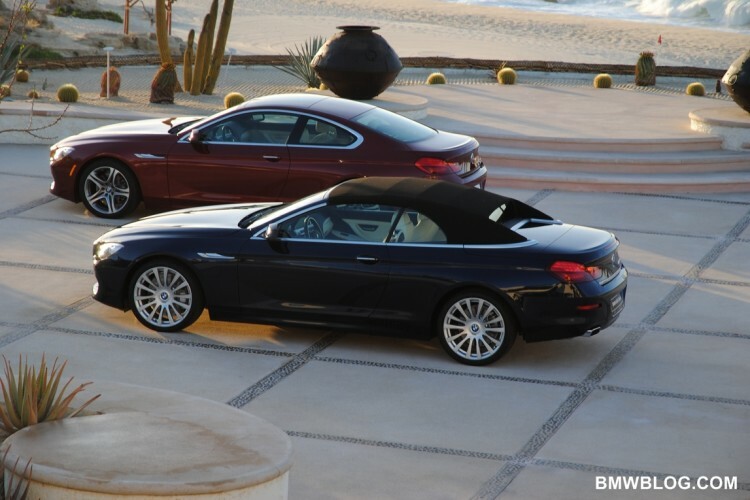 BMW says the 2012 650i Convertible and Coupe are at core two different vehicles. Contrary to expectations, BMW did not simply remove the Coupe’s top and replaced it with a soft retractable top, but rather the two high-end 6 Series models were engineered separately. 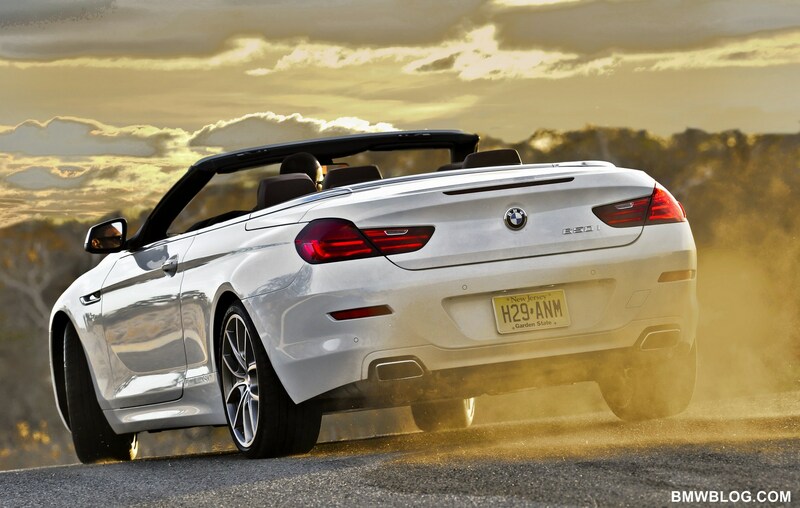 The new 650i Convertible is longer, wider and sits lower than its predecessor, and continues to feature a soft top. This has allowed for a more optimal rear seat back angle and sightly more room. In talking to talking to Adrian van Hooydonk at Detroit Auto Show, he explained that the customers of the 6 Series have multiple cars, basically one for every occasion, and the need for a hard roof was not necessary. It opens in 19 seconds and closes in 24 seconds while the vehicle is moving up to 25 mph. The fabric top was made esthetically possible thanks to the ‘ shark fin’, the buttress supports on either side of the roof, that allowed it to be a ‘fast’ shape. The soft top then can follow the same shape as the coupe. Inside, the new customers will fall in love once again with the new, refreshed BMW interior design. Compared to the old 6er, the high-end convertible has a more driver-oriented interior and a comfortable seating position for the driver and passenger. Even though the 650i was built as a 4-passenger car, the rear legroom as you would expect is limited, making it comfortable for a short drive before starting a riot in the car. The dashboard was lowered and features for the first time a freestanding 10.2-inch display. 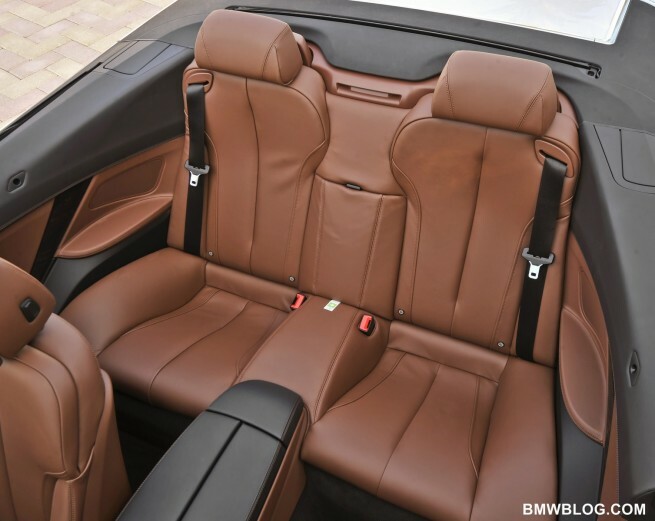 Soft-touch fabrics and high-quality trim are abound, the famous BMW seats continue to be firm and wrapped around your body, and then we have the classy stitch-work that says you’re now in a $100,000 premium vehicle. Style and luxury? Checked. Appealing design? Checked. But does the new 2012 BMW 650i Convertible carry on the “Ultimate Driving Machine” slogan? Over 500 kilometers of both cruising and aggressive driving, we came to the conclusion that this is the real Grand Touring BMW to convey two people and their impedimenta quickly and comfortably over inter-city B roads and Alpine passes. But let’s start with the beginning and work our way to the conclusion. 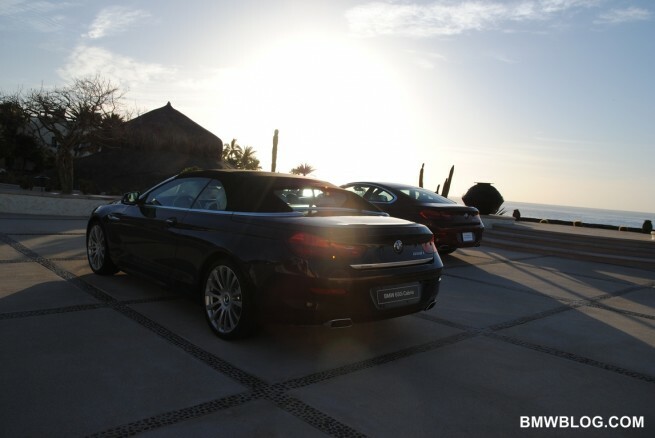 At launch time this month, the BMW 6 Series Convertible will be offered with the 650i badge. 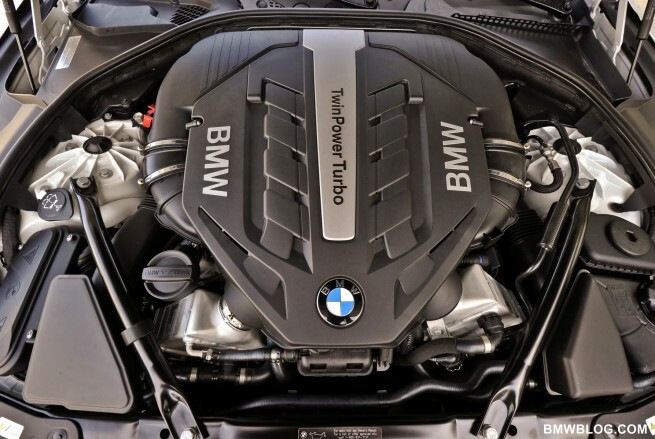 The 2+2 Grand Tourer is powered by the N62 4.4-liter V8 TwinTurbo engine that produces 400 horsepower and a whooping 450 pound-feet of torque, enough to take the 4,531 lbs convertible to 62 mph in only 4.9 seconds. The engine is matted to the superb 8-speed ZF automatic transmission that offers smooth shifting and improved fuel consumption. Even though BMW will continue to cater to enthusiasts with a six-speed manual, we believe the 8-speed gearbox is well suited for this car. As we mentioned earlier, the route from Cabo to La Paz offered us both the opportunity to drive fast in straight lines, but more important, to test the car’s agility through these curvy roads and extremely sharp corners. Mexican’s motoring populace was a model of courtesy, with most drivers indicating when it is safe to pass so we rarely felt trapped behind slower traffic on single-lane roads. First impression, the power delivery is linear and almost lag free, as long as you ride in the Sport and Sport+ modes as part of the Driving Dynamics Control system. Toggling between the settings alters the throttle map, suspension firmness, transmission shift schedule and steering effort. We’re inclined to believe that many customers will opt for the Comfort and Normal settings that better suit the demographic, but we would love to be wrong in our assumption since the car can deliver so much more with a push of a button. The Comfort mode is, in our opinion, too soft, giving the car a bit of a “float feeling”, but luckily the Normal setting offers the perfect balance. This is when the 650i Convertible really won our hearts, even though we are fully aware not many customers will resume to this type of driving. Cornering became even more fun, the exhaust note with the top down was more than we expected, and simply put: rewarding. I and my driving partner were quite happy to drive behind the other cars in the caravan while enjoying some pleasant acoustics. In a few straight lines, we pushed the car to a speed that not many would dare to drive in the U.S., and the responsiveness of the car along with again the exhaust note, made for a good shot of adrenaline. 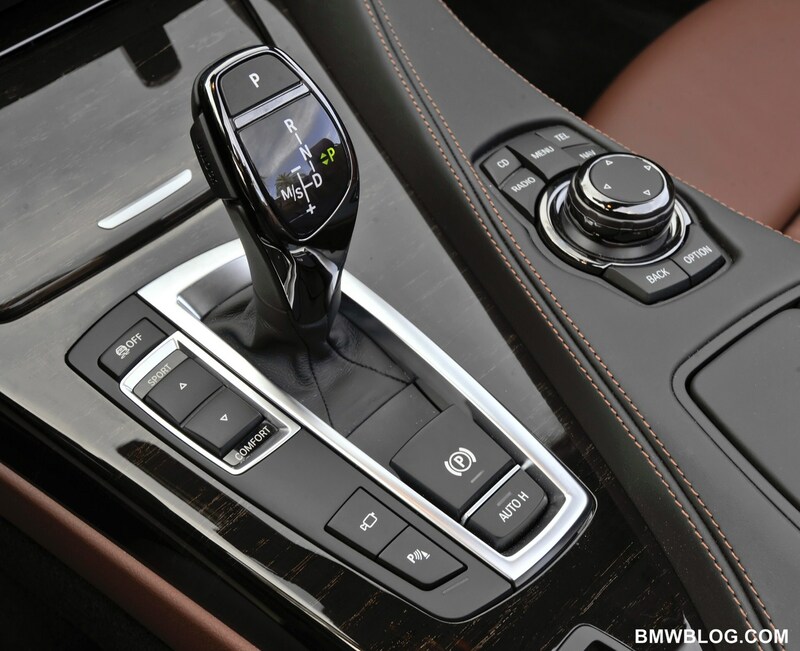 The shift paddles and immediate response from the 8-Speed made us soon forget a manual transmission is available. But the sporty driving came with a price: a combined 17 mpg. 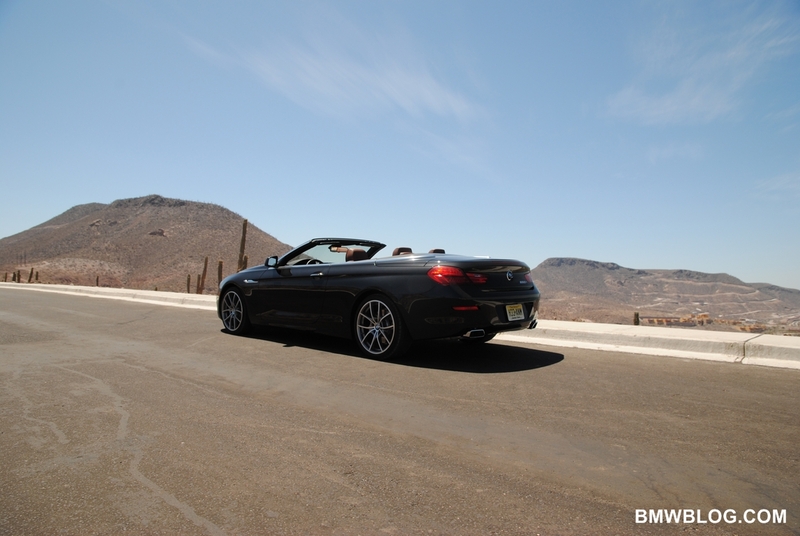 Despite its size, the 650i Convertible has minimal body roll and offers great road grip, inspiring confidence at fast speeds and driving pleasure when cruising down the rustic Mexican routes. We have spent equal time with the top down and up, just so we can get a better feel of the noise ratio. With the top affixed, the multi-layer canvas kept exterior noise largely at bay. Putting the top down, the noise level was kept in check by the vertical power heated rear window that allowed us to maintain a fluent conversation without raising our voices. With the tricky Mexican speed bumps at large, the braking system was put to test several times and the lightweight floating-caliper brakes with vented discs have proven to be efficient and effective. The DSC (Dynamic Stability Control) system in the 650i Convertible brings together technology such as the Anti-lock Braking System (ABS), Dynamic Traction Control (DTC), Cornering Brake Control (CBC), Dynamic Brake Control (DBC), the Start-off Assistant, the automatic Brake Drying function and Brake Fade Compensation. All of these sound impressive as well as reassuring. 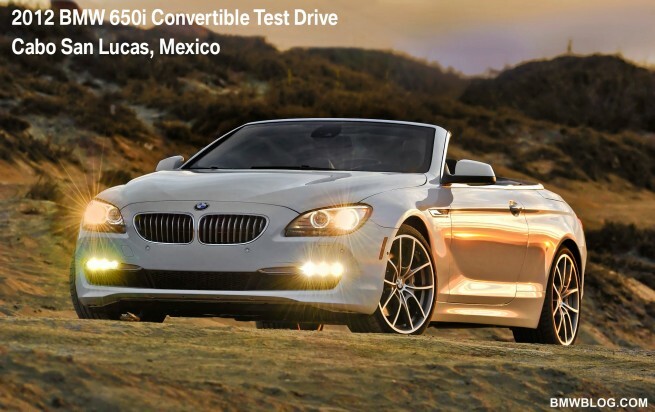 So yes, the lack of steering feedback when the car runs in Comfort DDC setting will come up in other reviews as well, but overall, with confidence, we say that the 2012 BMW 650i Convertible has the “Ultimate Driving Machine” DNA embedded within, at a substantial premium price. Our advice is this: if you’re a BMW gearhead or simply looking for driving pleasure, put the top down, select Sport+, even run in manual, and enjoy the lifestyle you’ve surrounded yourself with. If you fit the market demographic, then you have nothing to worry about, the 650i Convertible will deliver on your expectations and the engineers and designers accounted for all of your needs in the build process. The 6er Convertible will reach the local dealerships as you read this review, and the start price is $91,375. 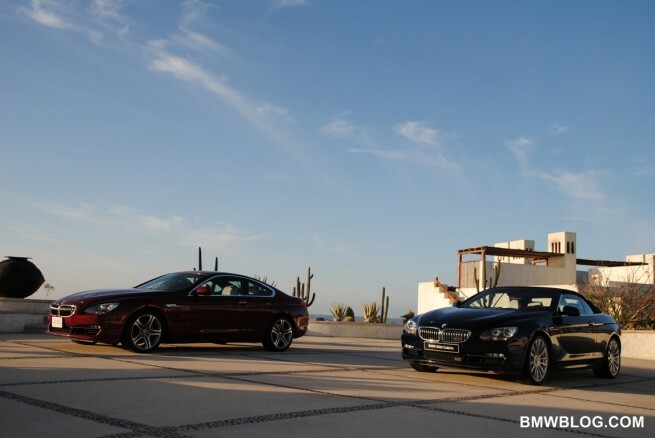 The Coupe and xDrive variants will arrive this fall, previewing the introduction of the new BMW M6 and 6er Gran Coupe in 2012, when the new 6 Series family is united and extended. The usual competition comes from Mercedes-Benz SL550, a 2-seater high-end convertible that appeals to the demographic. The second luxury convertible comes from Jaguar, the XK, with a naturally aspirated V8 engine that gains more traction in the luxury market. Since we have not had a chance to drive the two vehicles yet, we will have to refrain from comparing the driving experience, but stay tuned for a future comparison review. Disclaimer: BMW flew us out to Cabo San Lucas for the North American launch of the 2012 650i Convertible, dined us and put us up in a beautiful hotel. Even got a tequila bottle that was confiscated by the airport security folks. Previous post WSBK 2011: Victory Only A Matter of Time? TEST DRIVE: 2019 BMW G20 320d – Still a Best-Seller?